Discussion in 'Apple and Mac OS X' started by Dida86, Jun 12, 2018. If you're reffering to probook G5, i'd say it's pretty poop. The new Zbook Studio G5 (8th gen model). Sadly I don't have experience with the model. I'd have to do some research on it before having an opinion. I would check temperatures beyond CPU. Apple laptops have always been notorious for being the hottest on the market with their enclosed design restricting airflow and ventilation, which explains why their mainboards experience premature component failure more often. Which they then just replace the entire mainboard with a refurbished board instead of spending 20 minutes to remove and solder on a new chip, mail your old board to get refurbished and continue the cycle. Unfortunately that ssd is soldered onto the mainboard so thats gone and if you don't have a backup 99 out of 100 times you will just be out of luck. A CPU running at 60c instead of 70c won't affect the lifespan of the CPU in any measurable way. A mainboard chip at 90c instead of 60c will likely fail much sooner. Without real ventilation dust and gunk just piles up inside that macbook even moreso than a well ventilated laptop. And a well ventilated laptop will pile up with **** that needs to be cleaned out every once in a while which depending on the model is either pretty easy or extremely easy to do. 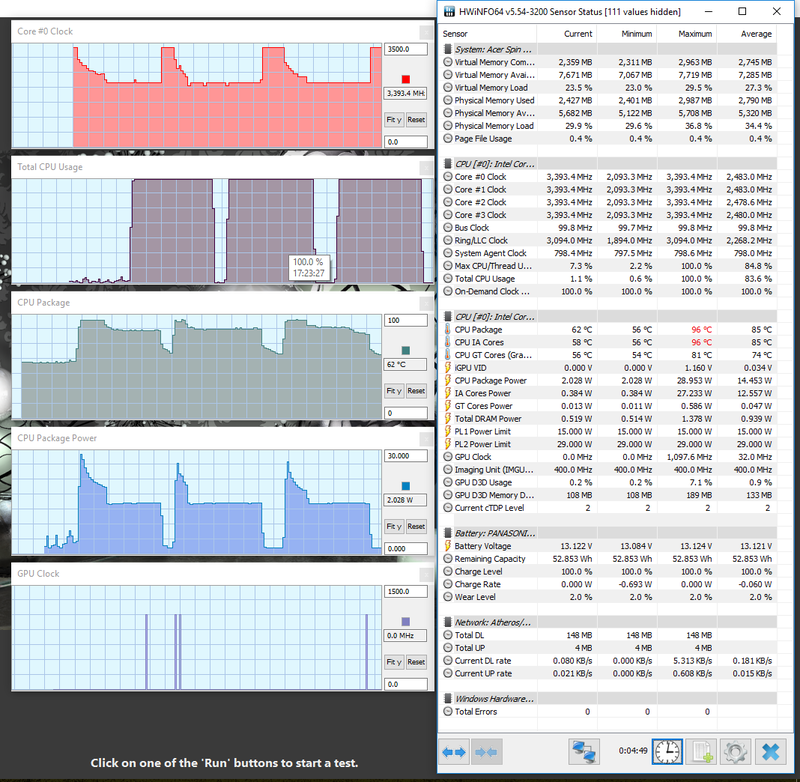 And it generally makes sense why the cpu runs hotter from a performance or age point of view. 7700hq performs much better than the I5-7267U and draws more power. The current 8700 in laptops perform much better than the 8259U in the current macbook pros, and draws more power. and again it all comes down to cooling, a 8700 in a poorly ventilated laptop will run hotter than the 8259U because it's pulling a lot more power. You have a laptop like I have with an 8086k at 4.8GHz and I am chilling at 36c and prime 95 in low 70s because it is well ventilated. The 82xxU series chips look good from a data standpoint in comparison anyway, but performance in a macbook pro is considerably worse because the 8250 can't even keep a 3.4GHz clock speed for more than a few seconds because of thermal throttling, there is no way the 8259 could keep a 3.8GHz clock speed. Been using Mac Laptops from 12" PowerBook and on. For me, my personal workflow in MacOs keeps me coming back. My latest 2016 15" MBP Touchbar has been okay, but always keeping an eye out there. I do have an affinity for the Thinkpad line. Thinkpad X1 Extreme? MacBook Killer? Meatyocre, There are many MacBook killers out there now. The thinkpad is a great device.